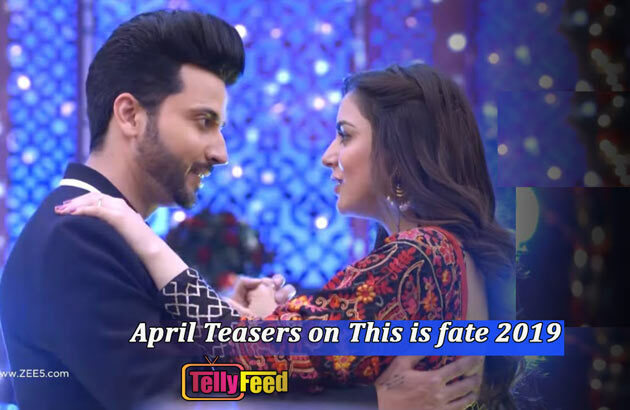 This month, Karan is determined to find clues against Prithvi and Sherlin,Read on This is Fate April Teasers 2019 Zee World. Episode 111The Luthra family are celebrating the wedding anniversary between Rakhi and Mahesh while Karan, Shriti and Preeta are planning an investigation at Sherlyn’s house. Episode 118Karan and Preeta are convinced that Sherlyn is pregnant, Preeta calls Shriti and updates her when she realises that her mother was eavesdropping on their conversation. Sanju gets caught by the Luthra family in their house, he gets interrogated by Karan and Rishab. Preeta tells the Luthra family about Sherlyn’s pregnancy, but no one believes her, and she is kicked out of the mansion. Karan’s reputation is at the bottom of the pit right now. Preeta is conflicted.